How to Keep Your Translation Costs Transparent? Translation may not have been your priority from the start, but for various reasons, it has become a necessity. When it comes to managing a translation project, you probably already know that good planning is everything. It sets the expectations for the quality, turnaround time and cost of the whole project. It’s obvious that you don’t want to spend a small fortune on translation alone. Therefore, planning your budget and keeping translation costs transparent is probably a priority. Why not use proper technology to do this? A proper Translation Management System makes life a lot easier when it comes to organizing any localization project, whether it’s digital content like websites and apps or marketing and material for print. Text United provides transparent translation cost insights for Project Managers, thanks to company statistics and savings report, available not only on a project level but now also across multiple translations projects at once. How much money do you save using Translation Memory? The company statistics and savings report gives you translation cost insights of your translation projects. From the very beginning, it’s clear which language combination and currency you chose. 3) how much you saved thanks to it. The calculation of the No TM cost column is based on an average price of translation and proofreading per word without any use of Translation Memory. 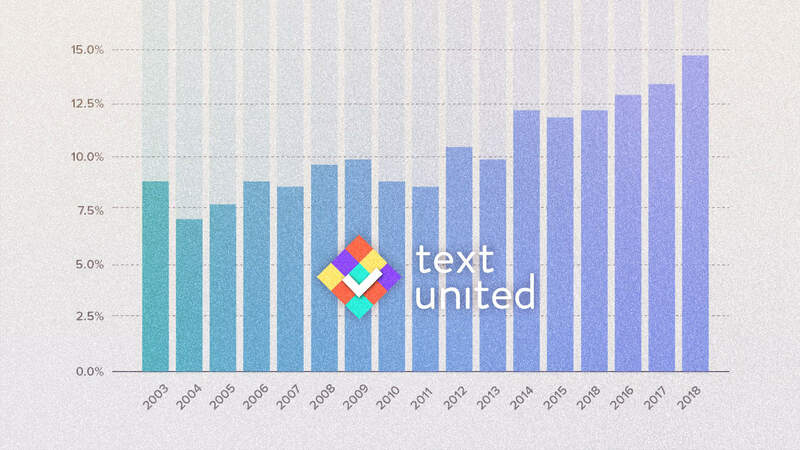 At Text United, the rate per word and the amount of savings are calculated based on the actual offer for the project. If no offer has yet been made, the average rate is used. For German, as in the example above, the average rate is 0,07 € per word when it comes to translation, and 0,03 € per word when it comes to proofreading. Of course, some language combinations, such as Swedish and Norwegian, are more expensive than others, so this example report is not accurate for all language combinations. However, its main goal is to give you an overall overview of how much you save using Translation Memory. The Reports contain statistics for the current year but also all-time statistics which include total costs of translation projects, the total number of translation projects undertaken, and the number of translators who worked on your projects. Another thing to do to gain even more detailed insight into costs and savings is to generate a Savings Report. 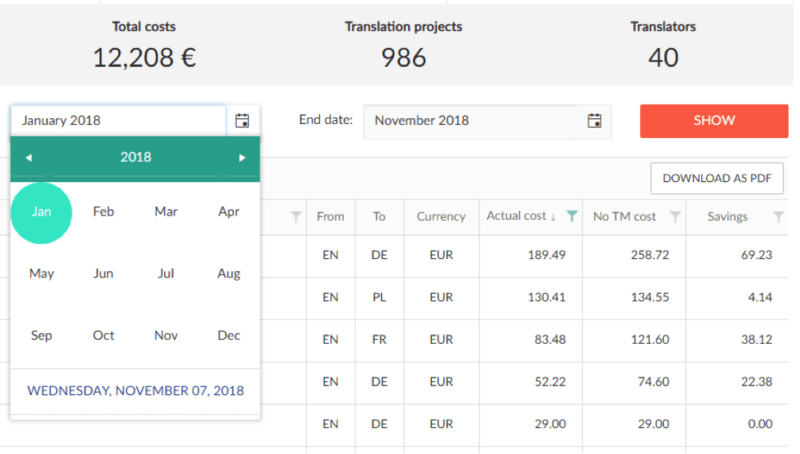 This report will show you how much money you saved on all projects based on the use of Translation Memory for each month, quarter or year. Additionally, Project Managers are able to download the report directly from the Reports page and save it as a PDF. Plan your translation budget in a smart way! And after you’ve planned the budget, you can outline your actions for calculating your translation ROI!